Awards Host for closing night gala. See me and my Wonder Woman short film with Geek Film Fests Saturday Feb 17th, Noon screening & 1pm panel – room 101A. Academy of Science Fiction, Fantasy & Horror for film and television. My Wonder Woman tribute film short premieres at SVCC Masquerade half-time Saturday evening in the City National Civic Room and there will also be a sneak peek in room 210CDGH between 4-5pm at the live superhero sketch comedy show with my friends in the Idiot’s Lantern! Appearing for the Marston Family Wonder Woman Museum. Live modeling for Frank Cho‘s art class! Academy of Science Fiction, Fantasy & Horror award show honoring the best in film and television. Join me online for live tweets and interviews from the red carpet! Also presenting the Comic-Con Film School panels each morning 10am-11am in the Marriott Marquis San Diego Marina Hotel, Pacific 23. Returning to present the 2015 CCI Film School with a panel each morning! Exciting new east coast event ACBC, here’s a discount code on tickets! Other guests will include Stan Lee, Michael Rooker and more. The official convention of a galaxy far, far away. Celebration of comic books and pop culture that showcases exceptional works. Film School panels and dance performance at Game of Thrones event. Incredible guest list built mainly on reputation and goodwill, HeroesCon is known nationwide as a “must” drawing fans, exhibitors, and creators from every region of the country! 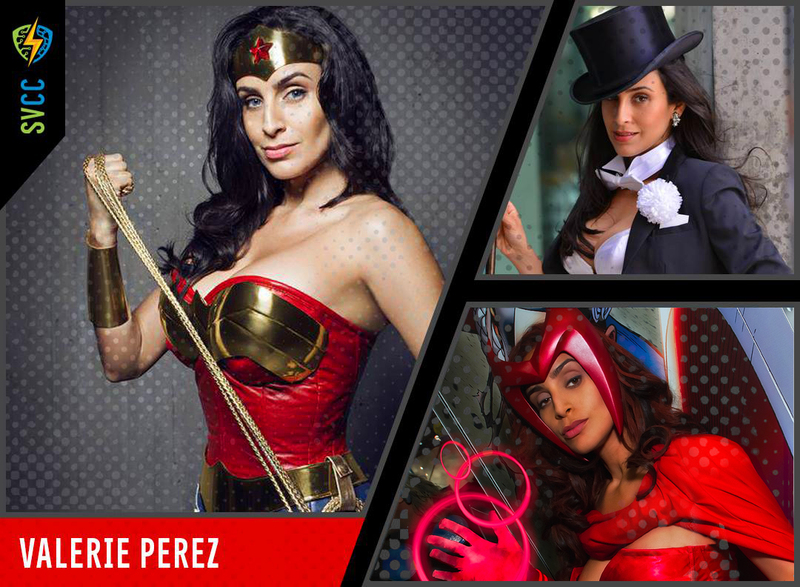 Performing Friday, Feb 14th at the world’s largest & longest-running Doctor Who convention! The Idiot’s Lantern Cosplay Variety Show 10 pm in the Meridian Ballroom. Featuring the best indie-created, high production value work.